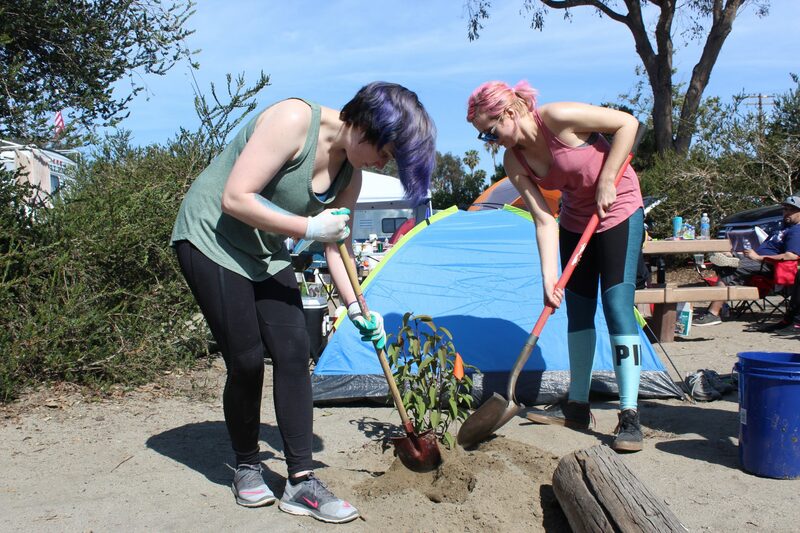 Volunteers were digging in the dirt, planting California native plants and ensuring every new plant had enough water during the Earth Day event at Doheny State Beach on Saturday, April 22. The California State Parks Foundation provides financial and volunteering support to the parks in order to work on park improvements while providing education on ways to protect and preserve the parks. Vicki Wiker, Doheny State Beach park naturalist interpreter, said about 100 volunteers were at the campground on Saturday, and a large number of volunteers were in attendance the weekend before for the beach cleanup. She said as volunteers finished planting, they walked along the campgrounds to pick up trash Saturday afternoon. The event was part of the California State Parks Foundation’s annual event, which began in 1998 to encourage a day of action that would engage California residents to care for the state’s threatened natural resources.